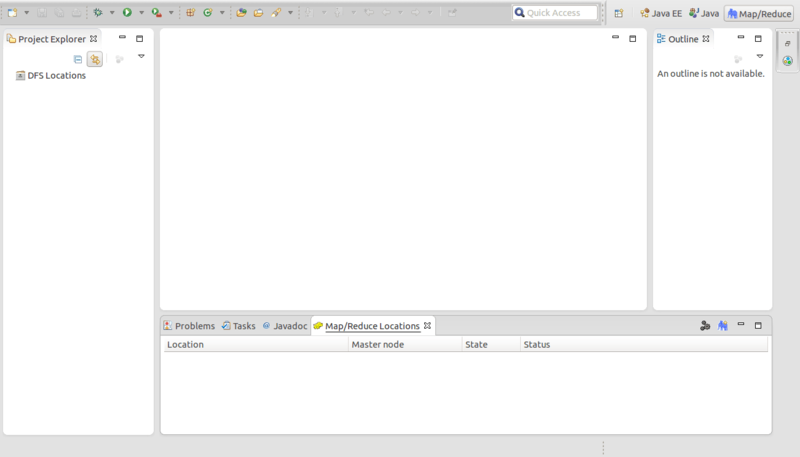 This post is an extension of previous post about configuring eclipse for Hadoop. 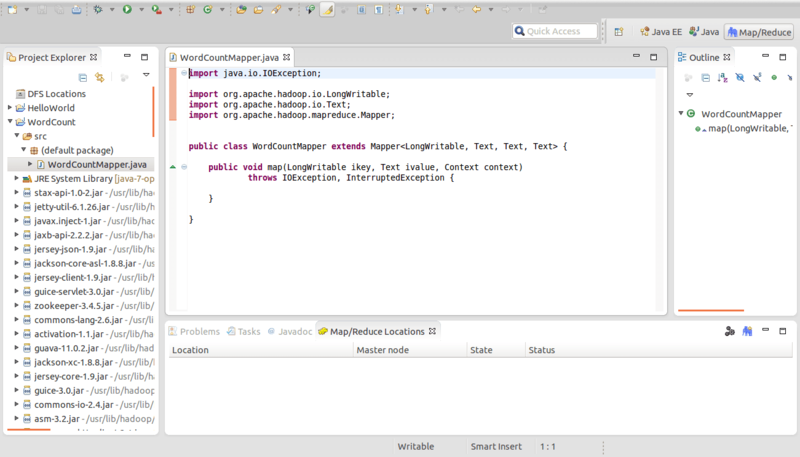 Once the configuration is done successfully, we can run the sample mapreduce programs in Eclipse IDE. 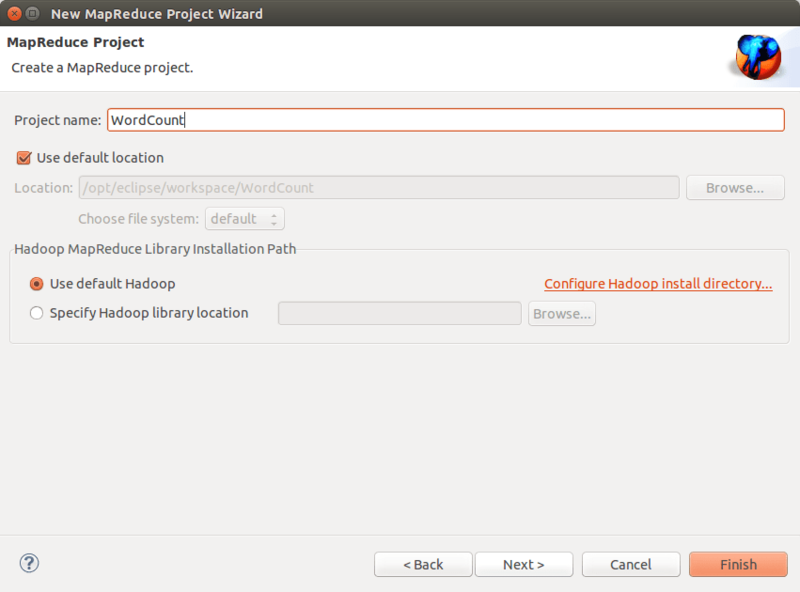 In this Eclipse Mapreduce Example post, We will discuss the development of sample Word Count mapredue program from scratch and execute the jar file on hadoop cluster and verify the results. 1. 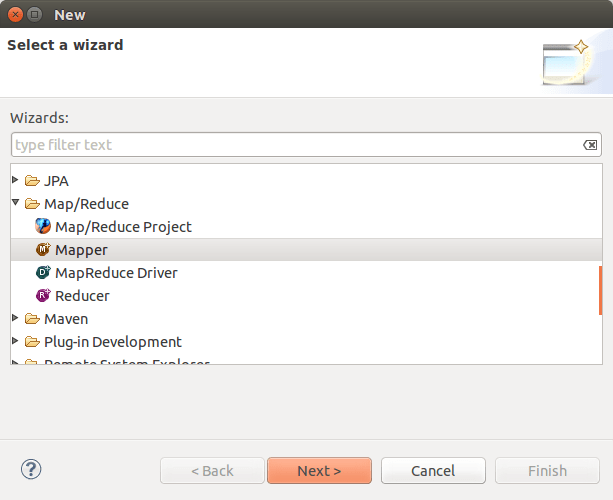 Start eclipse and choose Mapreduce perspective. After selecting Map/Reduce perspective, we can see DFS Locations under project explorer side bar and Map/Reduce Locations at the bottom as shown below screen. 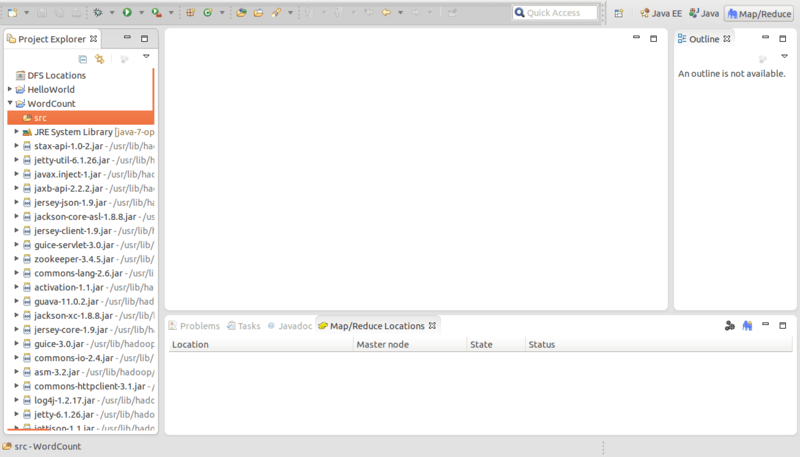 These locations can be configured by right clicking on the empty box and selecting “New Hadoop Location” and then providing host name and port address for test development. Since, in production, the developed jar files are exported to a particular hadoop machine on cluster, we will follow the same approach here. 2. 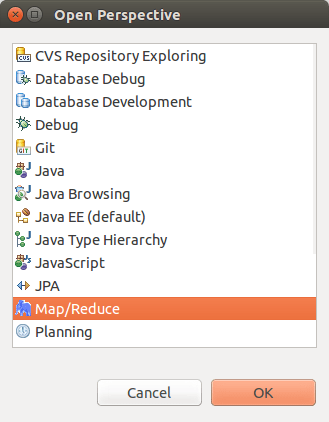 Create a new Map/Reduce Project. Go to File –> New –> Other –> Map/Reduce Project. 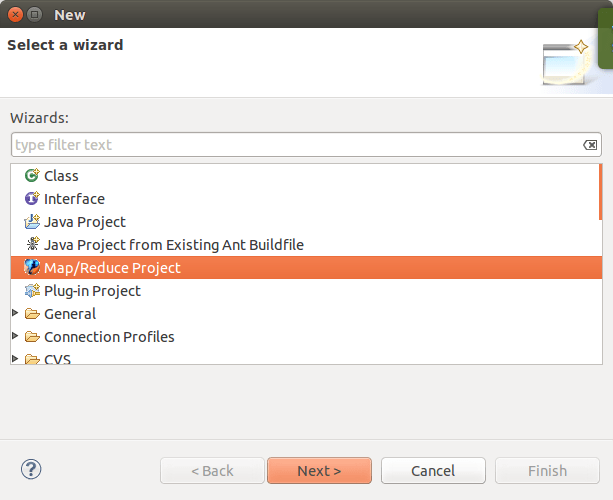 Provide the project name, for example WordCount in our case. 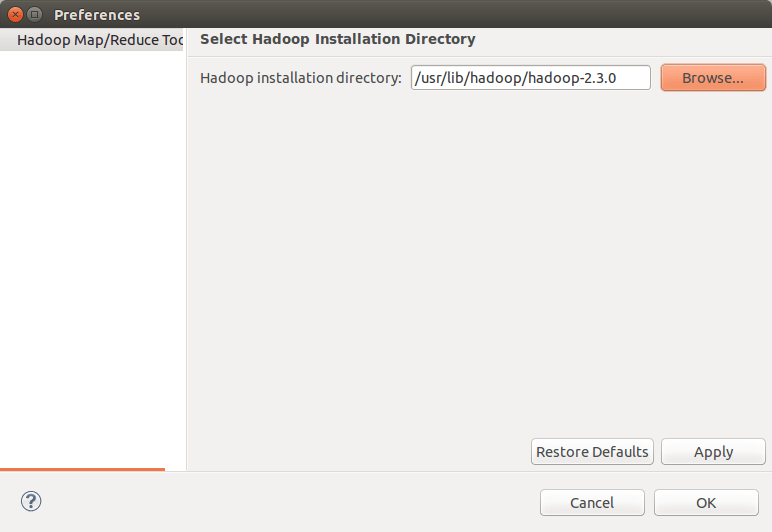 Click on Configure Hadoop install directory and provide the hadoop’s home directory. 3. 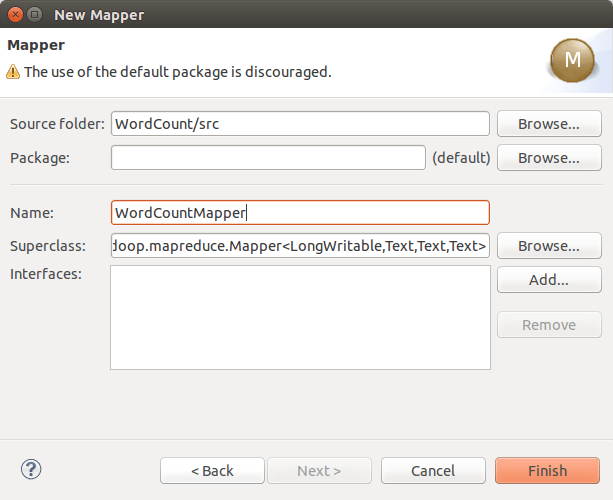 Now, lets create Mapper, Reducer and Driver classes under WordCount/src with the help of Eclipse configurations. Copy the below source code into Mapper class and save the file and it will automatically compiles and generates class files.